Outstanding results at Snetterton took the DPR Motorsport Roadsport A team score to 458 points with a lead that exceeded the closest challenger by 14 points. Jon Walker sealed his victory in the new Superlight R300 championship with a race in hand at Snetterton. This convincing result added further victories to the credit of the DPR motorsport built and prepared R300 that claimed the first-ever R300 outright race win at the pit-stop invitation race at Donington in August 2008. This is a well-deserved individual win for Jon Walker and also for DPR motorsport as the championship winning entrant. Dpr Team principal David Rowe said “We were both pleased and surprised that we won the Roadsport A team championship. Other teams had up to five drivers contributing race points enabling them to select the best two results for each race. Our team had three drivers for the first four rounds reducing to two for the last three leaving zero margin for poor results due to the driver or in-race mechanical failures. At DPR Motorsport we take pride in how our cars and support facilities look in the paddock. Over a race weekend we only stop work when the post-race inspection and service work is 100% complete, no matter how much time this takes. 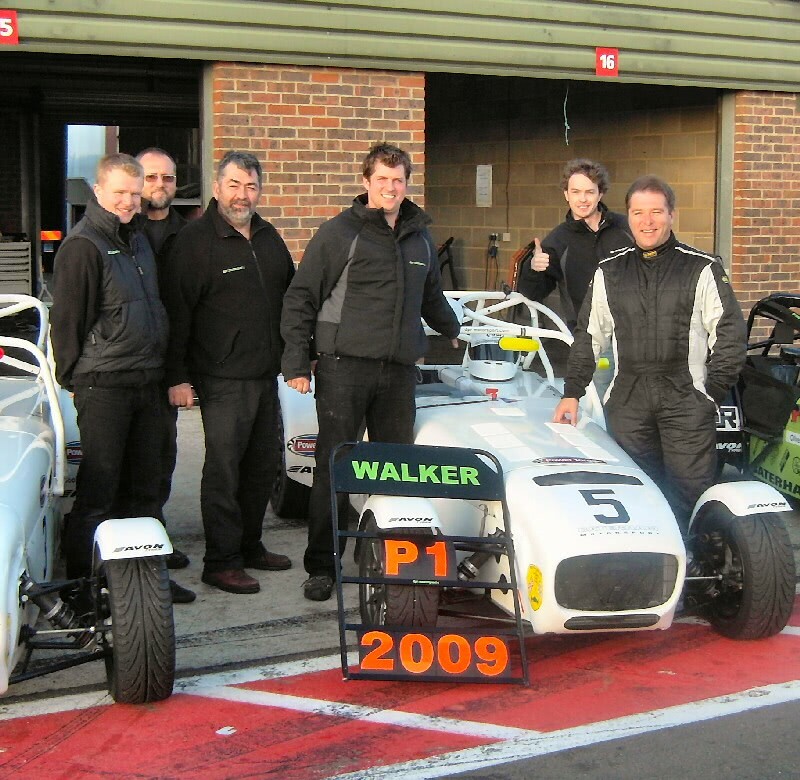 For 2009 the result has been the Roadsport A Team Championship alongside the remarkable achievement of Jon Walker in his outright win of the new Caterham Superlight R300 championship with a race to spare. DPR Motorsport was the only Caterham motorsport team to gain victories across more than one step of the Caterham motorsport ladder. These championship winning results appropriately reflect our high attention to detail for both the preparation and race-reliability of DPR supported race cars. I would like to thank our technician Robert Springate who has worked extremely hard on and off the track as well as our race weekend technicians Gordon Harradine and Jimmy Skyers. My thanks and appreciation also goes to the drivers who we have worked with closely during 2009 being Jon Walker (R300), Magd Mohaffel (RSA) and Tony Bennett (RSA & R300). For the RSA Team Championship we also benefited from the contribution from Raphael Florentino. I would also like to thank Vaughan Cartwright of Real who has supported Robert in both his RSA and R300 race endeavours as well as working with us to develop an advanced resin-bead race seat specifically designed for Caterham racing. For 2010 we will continue to focus on engineering attention to detail so that all of our clients can be assured that their DPR-supported race car will be prepared and set-up to our unique race-winning standards.